Smartphone game Galaxy Dungeon is Square Enix's attempt to mix card-based action with role-playing game elements. The mecha heroines caught the attention of some gamers, and there was some fanfare when it was recently released. Things seemed to be going well for Galaxy Dungeon. Then, there was a bug—a bug that now looks like it might actually be a hack. In social games like Galaxy Dungeon, cards are precious. Players invest time and money to get those cards. So when those precious cards began disappearing from player's accounts, people notice. This caused Square Enix to scramble to perform maintenance early this morning. The deadline for this morning's 6am maintenance was missed. That deadline was in turn extended to 6pm, and then missed. This evening, the deadline was extended to tomorrow. The developer did note that it's possible to restore the missing cards. At this point that isn't really the concern. On Japan's largest bulletin board 2ch, images that are supposedly of a Chinese chat board allegedly show people begging a user to sell them rare cards. There is also talk about the hack and the maintenance—and someone even says that the maintenance is "pointless" because they will "keep hacking" unless the entire app gets an update. What is certain is that many players are not only feeling exposed, but also confused and angry. "We'll give you a surprise tomorrow," wrote another commenter in the same thread. The implication, if this thread is real, is that the hackers are supposedly in it. Now Galaxy Dungeon players are worried that this card disappearance "bug" was a hack. Along with the alleged Chinese hacking, there's speculation that someone was banned and is getting revenge. "There aren't bugs that erase cards," wrote one 2ch user. Maybe there are, and maybe there aren't. What is certain is that many players are not only feeling exposed, but also confused and angry. 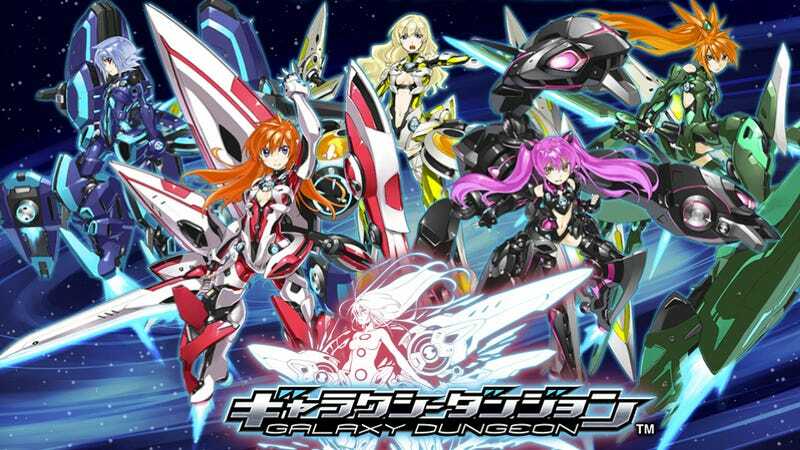 Tomorrow, Galaxy Dungeon's maintenance is slated to finish. If there are more details that come to light, Square Enix will probably make them known.